Why not hire your very own chauffeur for a day? 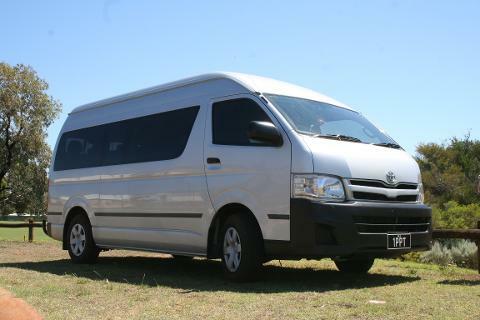 Hire our modern and air-conditioned Toyota Hiace Commuter and driver and plan a day to suit you. 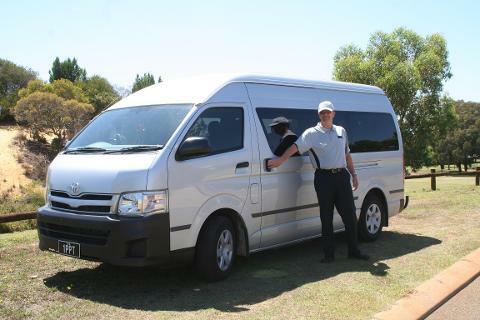 Your driver/tour guide will be knowledgeable, friendly and polite and will ensure that you get the most from your day. 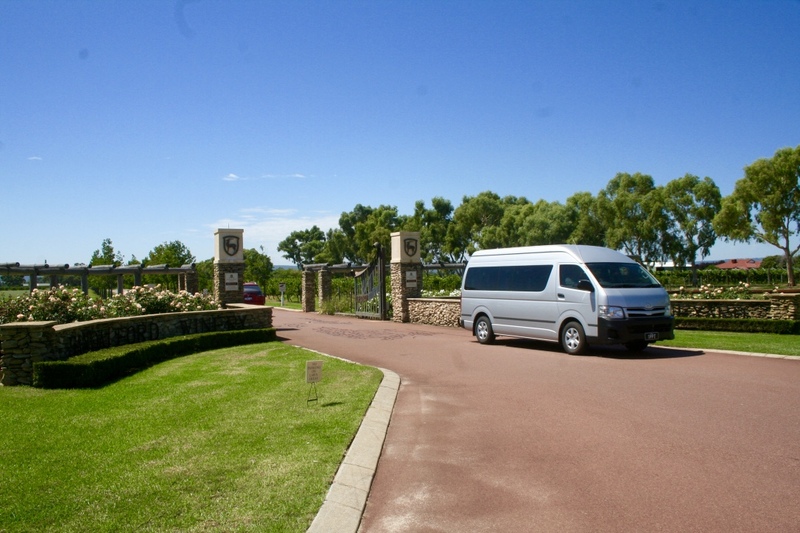 Pick up and drop off times to suit you, itinerary to suit.. Some ideas include: Margaret River, the Pinnacles, the Swan Valley, Busselton, Yanchep National Park, Caversham Wildlife Park, Kalumunda, the Bickley Valley and Mundaring Weir, Whale Watching Tours, Perth Zoo, Fremantle Prison Tours, Markets, Beaches, Art Galleries, the Aquarium, Penguin Island Tours, Rockingham, Mandurah, Mandurah Canal Cruises, Swim with Dolphins, Denmark, Albany, Pemberton, Perth City, Kings Park, Fremantle, Dunsborough, Yallingup, Walpole, Geographe Bay, Karri Forrest, Kalgoorlie, Wave Rock, York. Some of these options may require you to extend your hire time so please just contact us to arrange your obligation free quote. 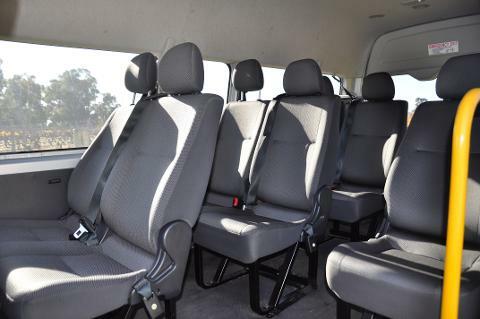 For 12 passengers it costs just $73 per person for the 8 hours. Infant and baby seats available on request. Complimentary bottled water and mints included. Some of locations may need you to hire us for longer than 8 hours, we also have a trailer if you have luggage or you would like to book an overnight tour-please contact us direct to find out more. If you are booking for a hens, hucks or bucks party please call us prior to booking. Failure to disclose this may result in your tour being cancelled at short notice with cancellation fees applying.